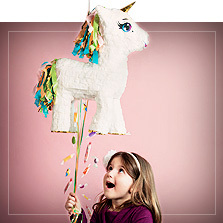 The most original ideas for birthday party decorations and themed parties, Carnival, Halloween and any soirée! 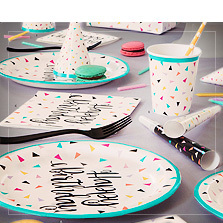 A party isn't a party if it doesn't look like one! 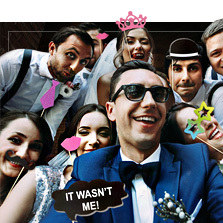 That is why we are presenting to you here the most original party decorations so that your event will be a success. 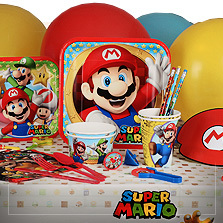 Whether you need decorations for a birthday party or Halloween party decorations to have a scare fest, or for any type of themed party... At Funidelia you will find all you need: tablecloths, cups, plates, serviettes, garlands and banners, straws, cake stands, piñatas, blow up decorations, hanging decorations... everything! 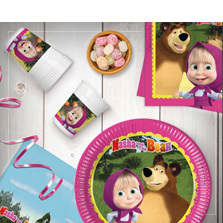 We are sure your little one will love our birthday decorations with their favourite characters: Mickey Mouse, Star Wars, Superheroes like Spider-Man, Disney Princesses like Frozen, Ladybug, Paw Patrol... and many more! 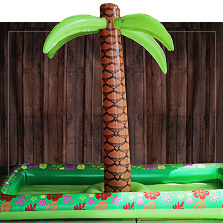 But not only do we have birthday party decorations, we also have Halloween, Carnival, Christmas, New Year's Eve, Medieval Fair, Oktoberfest decorations and all types of decorations for themed parties: pirates, hawaiian, eighties parties... 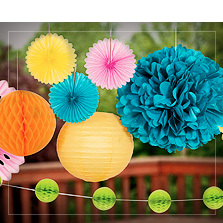 The most fun and original party decorations for an unforgettable party! 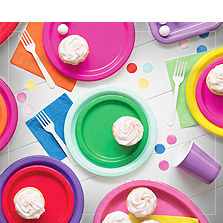 Great Ideas for Birthday Party Decorations! 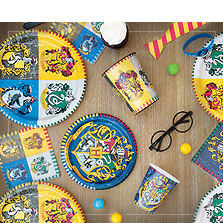 A party is not a party if it doesn't look like one! 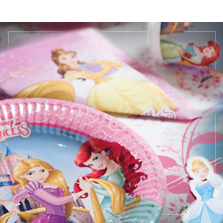 At Funidelia you will find the best birthday and themed party decorations. 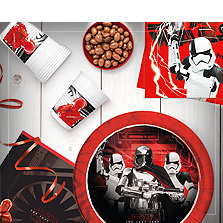 Everything you need to make your celebration "The Party of the Year". 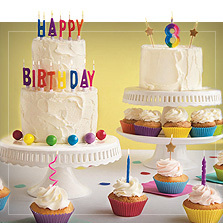 Not only do we have decorations for birthday, Halloween or Christmas parties. 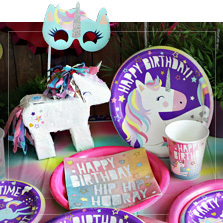 We have a great catalogue of decorations for themed parties and things for super cool parties with the most fun themes: unicorns, flamenco, pineapples, a hawaiian party or an Ibiza themed party, a pool party in the summer or a big 80's party or a hippie party with lots of love and flower-power. 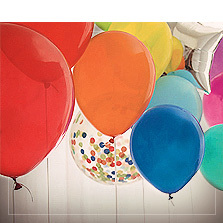 You will find balloons with letters and numbers to write the message you want at the party and lots of decorations for your house. 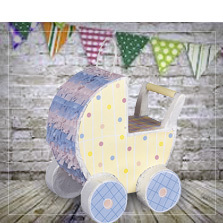 From garlands and bunting to posters or hanging and wall decorations to set the mood and decorate the whole house with the party theme. Turn your house into Arendelle castle or into a cemetery full of gravestones for Halloween. 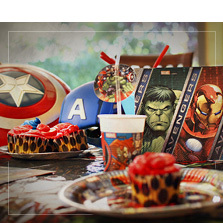 Go over to the dark side and put together a Star Wars birthday party or fight for justice with superhero birthday decorations. Whatever the theme... with Funidelia it will be an unforgettable party!